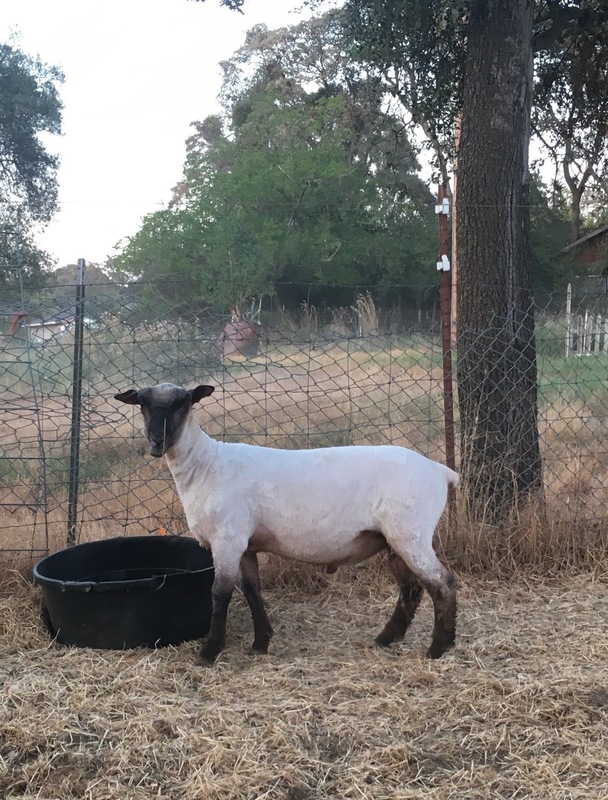 Foothill Agrarian: 21st Century Shepherds in California! 21st Century Shepherds in California! In the 30 years we've raised sheep, we've sold sheep in lots of ways - in parts (as meat), directly to processors, through livestock auctions in Escalon and French Camp, and to our friends and neighbors. 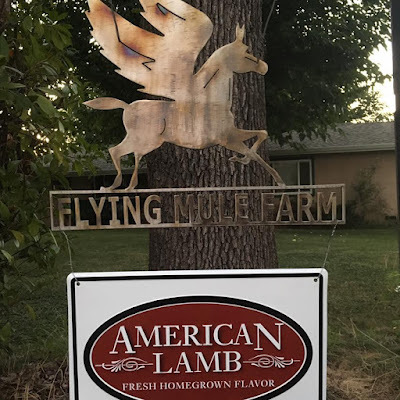 We've seen our lambs leave the ranch in our gooseneck trailer, in a pickup with stock racks, and in the back of a Subaru station wagon. 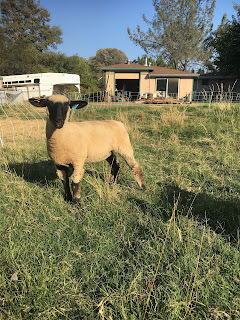 In 2017, we're trying a new marketing technique: next month, we'll be offering a Shropshire ram lamb and two crossbred ewe lambs in the first ever California Wool Growers Association Online Niche/Specialty Breeds Sheep Sale! Welcome to the 21st century! Just as this marketing technique is new to us, it's also new to the California Wool Growers Association. As vice president of the association, I feel like it's my obligation to support the sale! CWGA has long managed the California Ram Sale, a live auction that currently takes place in Porterville each April. 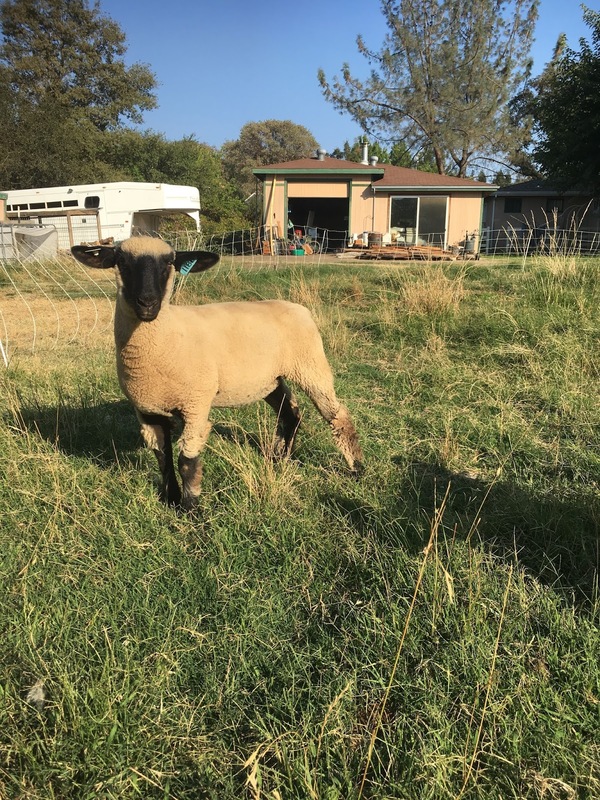 This sale is focused on commercial range operations - some buyers may purchase 30-40 blackface or Rambouillet rams. Smaller scale producers (like us) don't typically have a use for that many rams, and these breeds don't typically fit our programs. This online sale is an exciting new way for CWGA to meet the needs of members like me! Perhaps a bit of historical perspective is necessary - it occurs to me that some (most) of my readers don't know much (anything) about the California Wool Growers Association! CWGA was founded in 1860 - making it the oldest livestock organization in the state (which I take great relish in reminding my friends who are members of the California Cattlemen's Association). My predecessors in CWGA formed the organization to help market their wool - fiber was far more important than meat in the 19th Century! These forward-thinking sheep ranchers secured a ship to move their wool around the horn to the East Coast wool markets. I'm sure in their day, they were considered cutting-edge marketers! Today, CWGA represents sheep producers of every stripe and scale in California. Most of the large-scale operations are members; increasingly, many of the small-scale outfits like ours are as well. We find strength in numbers - we can purchase vaccines, supplies and feed at a discount; we can work with our state legislators and regulators to address issues of concern. And we can sell sheep over the internet! After 157 years, we're still cutting edge! Just in case you're in the market for crossbred ewe lambs or a Shropshire ram lamb, here's a few photos of the sheep we're offering! be a great ewe for a 4-H or FFA exhibitor! as a quadruplet! A great looking ewe! 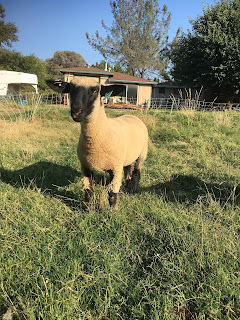 One of our Shropshire ram lambs - if you know Shropshires in the U.S., you know Fred Groverman! and Fred is offering a group of Shropshire ewe lambs who would be a perfect match to this big guy! Dan when is the sale? September 20-21 - check out www.susantaylorshowservices.com - current sales!